Hertz, one of the most iconic car rental brands in the world, is celebrating its centennial anniversary by teaming up with Chevrolet and Maserati to offer specialty cars for rental in the US and Europe. Stateside, one hundred high-performance Hertz 100th Anniversary Edition Corvette Z06s (pictured above) will be available to rent exclusively at select U.S. Hertz locations. “Hertz is a leader in the car rental industry for delivering a premium experience that is fueled by our longstanding commitment to provide our customers with caring and efficient service, and access to a variety of specialty and top-rated vehicles,” said Hertz Senior Vice President of Brand Jayesh Patel. The Hertz 100th Anniversary Edition Corvette Z06 joins Hertz’s impressive lineup of high-performance sports cars available for rent, giving adventure-seeking travelers a fully-charged driving experience. Customers can reserve the Hertz 100th Anniversary Edition Corvette Z06 to rent at airport locations in the following U.S. cities: Atlanta, Boston, Chicago, Dallas, Fort Lauderdale, Fort Myers, Las Vegas, Los Angeles, Miami, New York, Orlando, San Diego, San Francisco and Tampa. 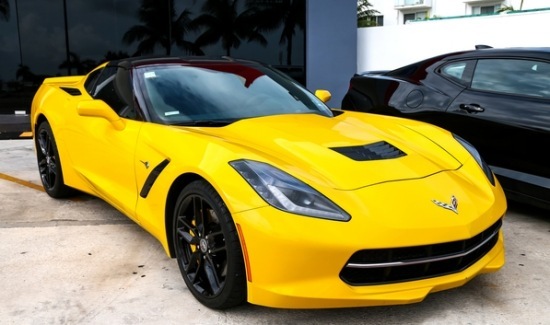 The Hertz 100th Anniversary Edition Corvette Z06 is outfitted in a classic Corvette yellow tintcoat with dual black stripes, matching Hertz’s iconic black and yellow brand marks. Powering the Hertz 100th Anniversary Edition Corvette Z06 is a supercharged 6.2-liter V-8 engine with 650 horsepower and 650 lb.-ft of torque. The vehicle also has a dynamic 8-speed paddle shift automatic transmission and rides on 19-inch front and 20-inch rear, black aluminum wheels with yellow painted brake calipers. Customers will enjoy added comfort and style with Competition Sport bucket seats and custom black leather interior accented with yellow stitching. In-car technology and entertainment in the Hertz 100th Anniversary Edition Corvette Z06 is also first class with a 10-speaker Bose audio system and an 8-inch touchscreen Chevrolet infotainment System with Apple CarPlay and Android Auto capability with built-in 4G LTE Wi-Fi. Hertz Europe, part of Hertz Global Holdings, Inc., has partnered with luxury car manufacturer Maserati to introduce a special limited-edition Maserati Levante to its European fleet as part of its 100th birthday celebrations. A stylish and eye-catching vehicle, the 100th Anniversary Maserati Levante uniquely features a number of special Hertz touches, with a range of exterior graphics and stunning interior detailing, for a distinctive driving experience. 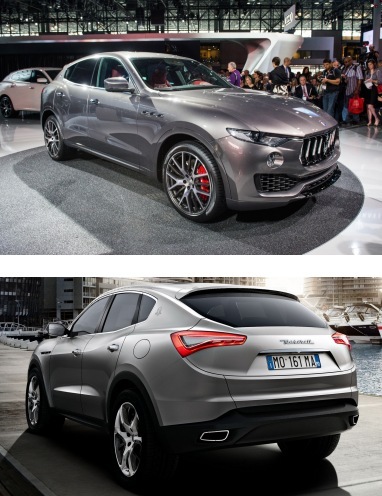 The Levante is an SUV like no other, bringing with it the Maserati grand touring tradition and inspiring long-distance travel thanks to its high-performance engine, 8-speed automatic transmission and intelligent all-wheel drive. The spacious interior, which comfortably seats five, is pure Maserati with an elegant Italian style, premium sound system and leading-edge technology. The 100th Anniversary Maserati Levante is now available to rent from Hertz in France, Germany, Italy, The Netherlands, Spain and the UK. It joins other Maserati models in the Hertz fleet in selected markets: the luxurious Maserati Quattroporte and Ghibli sports sedans. The vehicles are backed by Hertz’s “Make and Model Guarantee,” which ensures that customers drive away in the specific model they reserve.